Every year an increasing number of health tourists are travelling to Eastern bloc countries to receive an old Soviet medical treatment, which could be the answer to the West's crisis in antibiotics. Receiving life saving medical treatment a long way from home is never ideal, but for many of these patients phage therapy is the last in a long line of previously unsuccessful remedies used in the fight against chronic bacterial infections - which conventional Western antibiotics have been unable to shift. Phage therapy - the use of bacteria-specific parasitic viruses to kill pathogens could offer a viable alternative to deal with multi-drug resistant infections. Viruses that kill bacteria may sound like something out of a sci-fi film but phages have been used in this way for decades in Russia and Georgia - neither of which have the same issues surrounding antibiotic resistance that we do. It is this rapid rise of antibiotic resistance that has led the Western world to look to Georgia in a bid to find new ways to control bacterial infections. While the benefits of phage therapy were discovered more than 100 years ago it didn't become a noteworthy treatment strategy in Western Europe due to the discovery of the "miracle drugs" that are antibiotics and their widespread roll out and mass production during World War II. Unlike antibiotics, phages are also much more specific and effective only against certain strains of pathogenic bacteria. For phage therapy to work, the doctor would need to know which bacterial species is causing the disease or infection so the right phage species can be chosen - which isn't needed with antibiotics. The specific nature of phages, combined with a lack of understanding of their basic biology, led to inconsistent treatment outcomes. This was then used by critics as a counterargument against it. While some progress was made after World War I between pioneering phage scientists Felix D'herelle and George Eliava , their plans to open a large phage therapy centre in Georgia was trumped by Stalin and the generally suspicious political climate of the time prior to World War II. As a result, phage therapy became the "forgotten cure" for several decades until it was found again 40 years later by new generations of scientists and investors. Things have changed massively since the early days. For a start we now understand phage and bacterial biology much better than ever before and phage bacteria interactions have greatly improved our understanding of molecular biology in general. We also know that phages can work together with antibiotics to kill bacteria more efficiently - with a number of successful phage therapy case studies conducted both across the Atlantic and in Europe. We also now understand more about phage evolution and its potential role in infections. For example, even though pathogenic bacteria can evolve resistance to phages as they can with antibiotics, phages differ from antibiotics in being able to evolve to be more infective. How phages do this is still unclear, but this method has a long history and means that phages retain their long-term effectiveness via natural selection. Phages can also be improved, or "trained" as it was called in Georgia during the early days, to become more infective to target pathogenic bacteria. Phages are also one of the most abundant groups of organisms on the Earth, they can be found everywhere and have especially high densities in sea water, which makes it relatively easy to isolate new phages for clinical use. So how close are we to being able to use phages clinically? Well, we can use them under the Helsinki declaration (a set of ethical principles regarding human experimentation developed for the medical community) to try out alternative treatments as a last resort if anything else does not work. And people can of course also travel to Georgia and seek treatment directly at the Eliava Phage Therapy Center. But otherwise phage therapy is not yet a standard medical practice in Western Europe. Current research is focusing on developing good manufacturing protocols for preparing medicinal phage products that are safe for human application. Double-blind clinical trials that compare the effectiveness of phages and antibiotics in treating burns victims are also currently under way in France run by the European Union-funded phagoburn project. The trials will look at how phages work in comparison to antibiotics in the treatment of skin infections caused by escherichia coli and pseudomonas aeruginosa bacteria in burn patients. It is hoped that ongoing clinical trials such as the this and increasing scientific evidence will help to pave the way towards acceptance of phage therapy. Crucially, public opinion and the political climate could be more receptive this time given the urgent need to find alternatives for antibiotics to treat bacterial infections. 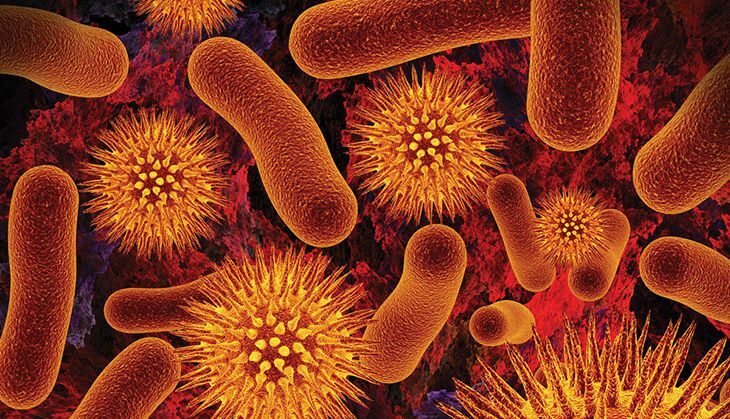 The use of other "strange" treatments such as faecal transplant to treat bacterial gut infections has now been publicly accepted in various European countries including the UK due to strong clinical evidence and high treatment success rates. So maybe in time the idea of viruses drawn from sea water being used to treat chronic bacterial infections may not seem to alien after all.